The summer of 2018 brings six new students to paid research internships at NEHC. 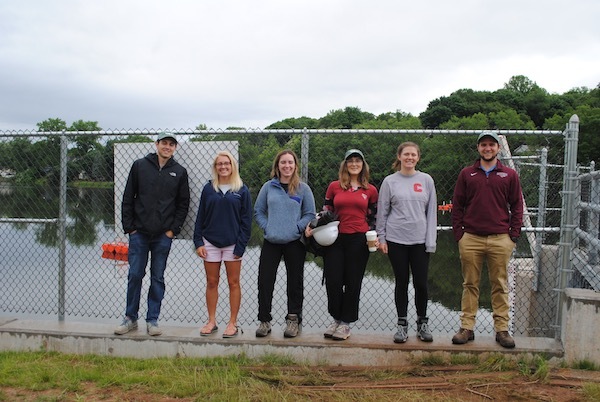 For five years, the company has engaged students from around New England to undertake site research and to support the permitting activity. In 2018, the company reached out to New York and Pennsylvania colleges and Universities in addition to New England schools. It enables the company to broaden its pool geographically, and by discipline and education. The students are trained to review site opportunities by technical potential, social and commercial opportunity and permitting viability. Joining the company this year are Amanda Willet, a Physics and and Geology major at Lafayette College; Elisha Musgraves who studies Engineering and Environmental studies at Worcester Polytechnic Institute; Leah Balkin, studying Biological and Environmental Engineering at Cornell; Makenzie Scheerer, an Environmental Engineering student at Cornell; Chad Martin who is studying Mechanical Engineering at the University of Massachusetts, Amherst: and, Sam Haines, a 2018 graduate of Lafayette College in Environmental Science, specializing in Restoration Ecology.